I have very few friends and even fewer close friends. As an introvert I’ve always felt that was the reason for my small circle of friends. Recently, have been meeting lots of new people and forming many new relationships. I began to ask myself what was it about the few people I allow in my inner circle that sets them apart from others. Almost all of the people I’ve come into contact with have been very pleasant, but I’ve only formed meaningful and close relationships with very few. Usually those relationships progressed very quickly and I knew almost immediately after meeting those people that I wanted them to be a significant part of my life. I believe instinctively I was able to tell the character of those people. What I would like to examine is how we can prevent a lot of heartache and disappointment by determining the difference between character and personality. I will first start with personality as it is the most superficial of the two. Personality can be very surface level. You can immediately tell if a person is outgoing or withdrawn, confident or insecure, etc. This distinctions should be judged as superficially as they are presented. They are not the true measure of a person’s character. A person have the best, most welcoming personality and also be a pathological liar. Determining a person’s character takes close observation. You need to see what they value, and how they treat themselves and others. To truly value another person, one must first value oneself. I have found that although everyone has some level of insecurity, those who are confident and self-assured are some of the most genuine and caring people. Extreme insecurity often manifests itself in the way those extremely insecure people treat others and themselves. With a certain level of confidence and self-assurance comes the ability to be open and honest with others. Being confident does not mean that you do not feel that there is room for improvement in your life, it just means that you are able to recognize and accept the things you need to work on. When you are honest with yourself, you can be honest with others. There is nothing to hide or mask. With confidence comes vulnerability and vulnerability is the foundation of any good and lasting relationship. Those who only operate on surface-level tend to be more inclined to hide their true intentions. These people tend to focus all their attention an efforts on creating a outward persona and not on a true development of their character. 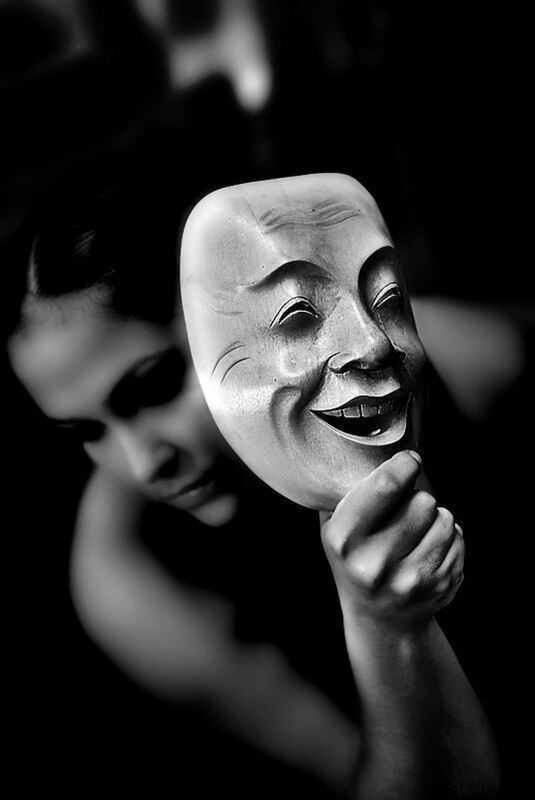 They are usually the ones who are wearing a mask and only concerned with how things on the outside appear. They feel the need to overcompensate with personality to make up what they are lacking in character. They lack the vulnerability to truly allow for a meaningful relationship, thus making it impossible to allow other people to know them authentically.